A brilliant, fierce writer makes her debut with this enthralling travelogue and memoir of her journey by bicycle along the Silk Roadan illuminating and thought-provoking fusion of The Places in Between, Lab Girl, and Wild that dares us to challenge the limits we place on ourselves and the natural world. As a teenager, Kate Harris realized that the career she cravedto be an explorer, equal parts swashbuckler and metaphysicianhad gone extinct. From what she could tell of the world from small-town Ontario, the likes of Marco Polo and Magellan had mapped the whole earth; there was nothing left to be discovered. Looking beyond this planet, she decided to become a scientist and go to Mars. Lands of Lost Borders is the chronicle of Harris's odyssey and an exploration of the importance of breaking the boundaries we set ourselves; an examination of the stories borders tell, and the restrictions they place on nature and humanity; and a meditation on the existential need to explorethe essential longing to discover what in the universe we are doing here. Like Rebecca Solnit and Pico Iyer, Kate Harris offers a travel account at once exuberant and reflective, wry and rapturous. Lands of Lost Borders explores the nature of limits and the wildness of the self that can never fully be mapped. Weaving adventure and philosophy with the history of science and exploration, Lands of Lost Borders celebrates our connection as humans to the natural world, and ultimately to each othera belonging that transcends any fences or stories that may divide us. Kate Harris makes a strong argument for human understanding that transcends the lines on a map. Lands of Lost Borders is notable for its lyrical prose, intellectual honesty, and courage to tackle complex questions without clear answers. (Reviewed by Karen Lewis). Harris's talent is in her prose, as she offers breathtaking descriptions of the Silk Road, shrouded in mystery and wonder. Starred Review. 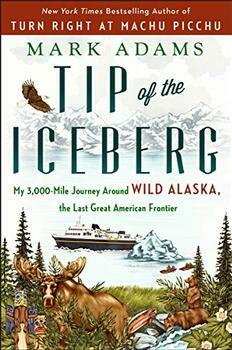 Exemplary travel writing: inspiring, moving, heartfelt, and often breathtaking. Lands of Lost Borders carried me up into a state of openness and excitement I haven't felt for years. It's a modern classic. Kate Harris arrives among us like a meteor – a hurtling intelligence, inquiring into the nature of political borders and the meaning of crossing over. Her sheer determination to explore what she does not know compels you to travel happily alongside her in Lands of Lost Borders. A hymn to the pure love of travel: a brave and astonishing journey. Kate Harris has an explorer's brave heart, a scholar's cataloging brain, and a writer's keen eye. She beautifully captures what it means to cross borders, both geographic and psychic, as one embarks on the grand adventure that is growing up. 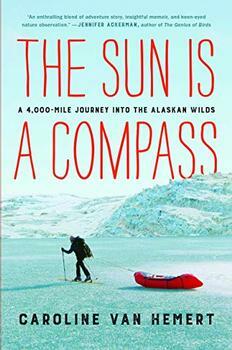 This fascinating book, about an unbridled desire for exploration, completely thrilled me. Getting to ride alongside Kate on her Silk Road journey is the literary adventure of a lifetime. In Lands of Lost Borders, author Kate Harris and her friend Melissa Yule bicycle through eastern and central Asia, stopping in the Eurasian nation of Georgia. Bordered by Turkey, Armenia, Azerbaijan and Russia, Georgia was a member of the Soviet Union until the latter's dissolution in 1991, at which time it regained its independence. The country has a population of 5 million and covers approximately 69,700 sq km (slightly larger than West Virginia). 20% of Georgia's territory—South Ossetia and Abkhazia—is still disputed and occupied by Russian military forces.